Midas™ is a compact and free standing monitor that uses oil samples to analyze and detect ferrous debris. The rapid and simple operation of Midas is accompanied by its unparalleled sensitivity. 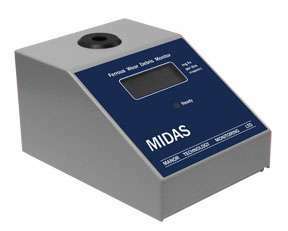 Midas’ cost effective operation enables routine on-site ferrous debris monitoring, and is a valuable instrument for precision specialist condition monitoring laboratory work.